Learn how to wrap up your present for Mother’s day gifts with our free, gorgeous gift box template! 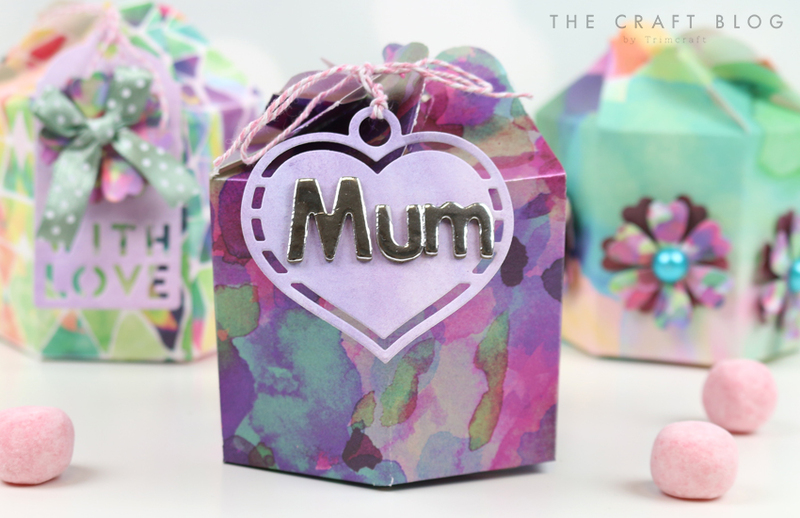 Mother’s Day is all about treats so to make your present a special one, we have a free gift box template for you to use! Using the First Edition Wild Flower papers, Maxine’s is going to show you how to make this splendid surprise. 4. Fold in the bottom of the box add a small piece of tape to secure the box. 5. Following the fold lines you created, fold in each section on the top of your box, ensuring to overlap each part to make a twist top. 6. Pick one section at the top of your gift box and punch a hole with a Fiskars punch. 7. Die cut the heart tag from the First Edition Tags die set on to a complementing Wild Flower paper design. Thread through a length of Dovecraft Twine at the top of your die cut. Stick the word ‘mum’ to the centre of your heart with the Simply Creative alphabet stickers. 8. Thread your tag through the hole you punched on your gift box. Now you have a pretty box ready to put your present in to! The First Edition Wild Flower paper designs really gives this gift box a premium look. The interesting opening will definitely get your mum excited to reveal the goody hidden inside. Maxine has created a few more gift boxes using a variety of Wild Flower papers! This fab gift box design is perfect to use all year round, whatever the occasion! 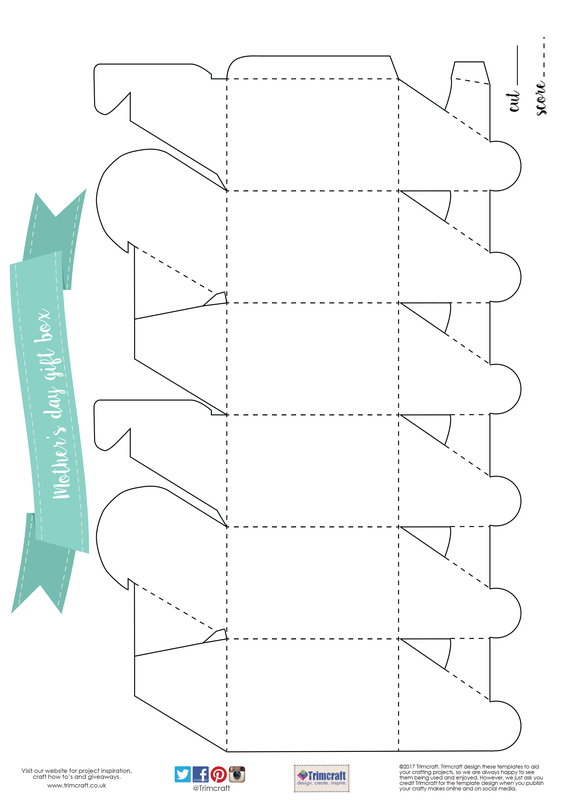 How will you use our free printable gift box template? We would love to see so don’t forget to upload your crafts to the inspiration area and to #trimcraft when sharing on social media. Lovely gift Boxes, I have made one and put it in the Gallery, I enjoyed makeing this thank you.